The snow is falling and the city is bright. There is a chill in the air and a feeling of joy. The decorations are hung, gifts secured, and family time is confirmed, yet, feelings of sadness and low energy are looming. Some feelings of sadness and low energy that you may not be aware of could possibly indicate a condition known as Seasonal Affective Disorder (SAD). If these symptoms impact your daily functioning and occur frequently, it is imperative you consider consulting with a trained professional. It is important to act quickly and take steps towards repairing your mental wellness when symptoms of SAD are recognized. Realize you are not alone and there are options. Crisis Text Line is a free, 24/7 support for those in any type of crisis. If you text, “HOME” to 741741 from anywhere in the United States you will be connected to a trained Crisis Counselor. Several crisis centers are available throughout Philadelphia, suicide and crisis prevention resources, and a free online self-help tool known as Beating the Blues. Free online behavioral health screenings are also available if you feel unsure about your symptoms. Please consider acting today to restore your holiday joy and add some warmth to these cold months! Note: SAD does not only occur during the winter months, and can also occur during spring and summer months. 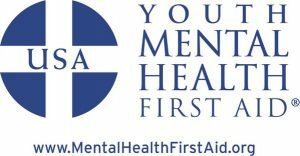 What is Mental Health First Aid…for Youth?